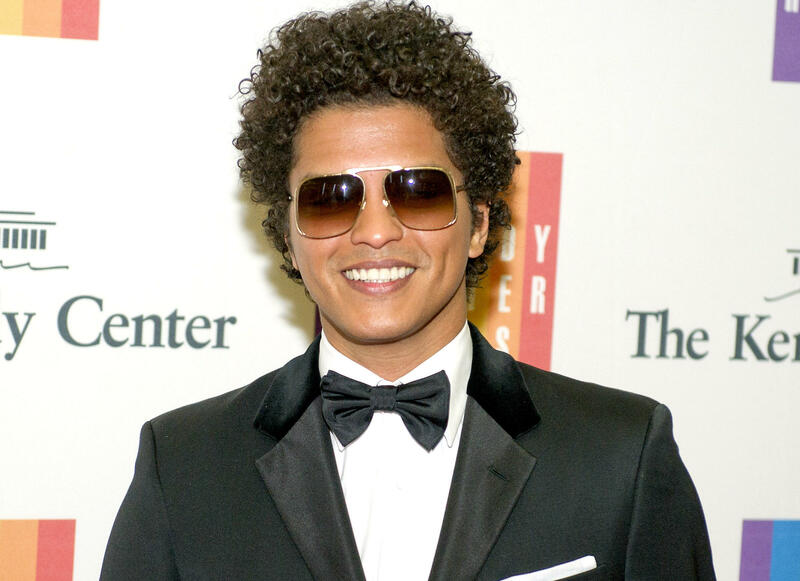 NEW YORK -- When Bruno Mars was in the studio crafting his upbeat, funky new album, he had a dress code: Wear your finest clothes, and leave your sloppy sweatpants at the door. He said dressing up set to the mood so that he and his collaborators could write and produce groovy, smooth and soulful songs that make up “24K Magic,” his first album in four years. His swag and style -- a curly, mini Afro, silky Versace shirt, classic shorts, slick shoes and a studded pinky ring -- match the sound of “24K Magic,” an epic ‘90s R&B-inspired album that plays like a cohesive jam session. It was released Friday. Mars said the album was inspired by his love for R&B acts like New Edition, Boyz II Men and Jodeci as well as West Coast rap. “The spirit of this album, growing up in the ‘90s, is to me the most joyous [time] for me. That’s my childhood. That’s what I grew up on,” he said. “I love DJ Quik, Suga Free, Too Short, E-40, Dr. Dre of course, Snoop, and that’s because these songs, they influenced hip-hop, these ‘70s funk songs, but it took place in the ‘90s and that’s why you had this soulful music with a superstar rapping on it. For me, it was all about the live show and the kind of party I want to throw. “That is the spirit we were hoping to capture on this album, and that rhythm is not as popular on radio right now,” he added. Mars says the trendy sound that some of his peers have adopted -- downbeat, alternative R&B -- isn’t him.